The 4th Annual BrüFrou: Craft Beer + Culinary Pairing Event will showcase 125 Colorado brewers, chefs, mixologists, 80+ unique pairings and live music featuring national touring artists. This fun event will take place on July 16, 2017, 12 p.m. – 5 p.m. at the Tivoli Quad, 1363 E 9th Ave, Denver, CO 80218. The country’s finest chef + brewer pairing event comes to town on July 16th for the 4th annual pairing festival. After three years of chilly April showers, BrüFrou takes on summer with a who’s who of chefs, brewers, mixologists and musicians! 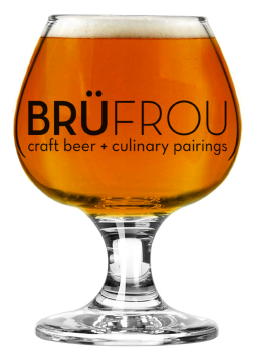 Continuously innovating the craft beer & culinary event scene, BrüFrou expands to BrüFrouFEST (BFF) with two ticket levels, 50% more pairings, specialty tents and live music. The event will take place on the redesigned Tivoli lawn in the heart of downtown Denver. New this year– 2 ticket types for even more accessible goodness. BFF will provide an expanded experience appealing to both aficionados and those new to local craft beer. The VIP package amplifies classic BrüFrou– extra special culinary and brewed pairings under the VIP tent. Perfect for the foodies among us. Samples from all 125 partners. The GA entry provides craft beer + food fans a starting kit- 8 one-bite pairings and a show for $40 with the ability to add-on as you go. Samples from 80 partners. Both experiences offer connections with top chefs, master brewers, award-winning mixologists plus live music; specialty tents featuring bacon, cheese and chocolate pairings; beer cocktails from some of Colorado’s best craft cocktail bars and a vendor marketplace, too! Adding some flavor to the day, national touring artists including: The Mowgli’s, Zach Deputy and Horseshoes & Hand Grenades will bring music from Coast to Coast with Bossa Nova, Gypsy Jazz, Bluegrass, Island-infused Drum & Bass and Sunny West Coast Indie-Rock. Craft beer, food and music lovers over 21 are invited to join the fun. Come toss your favorite festival blanket, relax with your first pairings as you peruse the menu of more than 80 delectable offerings. Play your favorite lawn games, dance with the bands, stroll through the marketplace in between bites and beer until you are fat & happy. Play with us on July 16th at BrüFrouFEST 2017. • Four Noses Brewing Co.
• The Mowgli’s: With hits including “San Francisco” & “I’m Good,” they are known for their laid-back mix of sunny West Coast pop, garage rock & 60’s Laurel Canyon folk sound. • Horseshoes & Hand Grenades: While strongly rooted in bluegrass, old-time, and folk music, the five Wisconsinites that make up the band, produce a sound that will make your toes tap from sundown to sunrise. • Banshee Tree: Originally from upstate New York, the group plays a mix of standards like “On the Sunny Side of the Street” and mellifluously joyful originals like “Make it Rain” with a surprisingly original and enticing mix of gypsy jazz, folk pop and swing. quintet plays a wide cross section of favorite standards & original compositions. Oskar Blues Brewery is bringing its BURNING CAN (notjusta) Beer Fest and CAN’d Aid Fundraiser back to Lyons, Colorado on June 4, 2016. This summer tradition is an award-winning celebration of canned craft beer, Burning Can (notjusta) Beer fest is part of Lyons Outdoor Games. More than 60 craft breweries from around the country will be on hand to sample their canned brews – nearly 200 beers in all – and take part in the country’s original active beer festival that combines live music, spectator sports and sport competitions, and a concert by the Dirty Dozen Brass Band. Registration is open and tickets are on sale HERE. Burning Can also features participant and spectator sport competitions including The Beer Relay, a team trail running and beer drinking event. 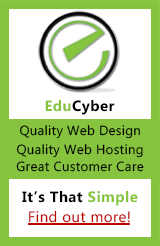 This four-hour competition is run in teams of two or four. Runners will complete as many 5K laps as possible within the four-hour time period. If they choose to drink an Oskar Blues beer prior to their lap, they get two-minutes deducted from their lap time. The team with the most laps wins. Those who’d rather spectate than participate can watch legendary mountain bike freeriding and trials rider, Jeff Lenosky, perform jaw-dropping, not-to-be-missed demos. Lenosky is a three-time National Champion and World Record Holder for the highest bunny hop on a mountain bike (45.5 inches). This celebration of craft beer-in-a-can raises money for Can’d Aid Foundation. The CAN’d Aid Foundation is all about diggin’ in and makin’ a difference with their “do-goodery” program areas: Towns, Tunes, Treads + Trails and Love Yur Mama. The two-year-old public charity has raised nearly $2 million and has recently provided disaster relief assistance to South Carolina, North Texas and Flint, MI with fresh drinking water and rebuilding efforts through its “Towns” program. Look for additional events highlighting Can’d Aid Foundation’s community do-goodery to surround their April events, including bike builds & giveaways and free music workshops and instrument donations. Burning Can in CO and NC were called “7 don’t miss US beer fests” by CNN. Burning Can and Lyons Outdoor Games named USA TODAY 10 BEST “Greatest Beerfest in All the Land”.